The Georgians are about to enjoy something of a comeback. 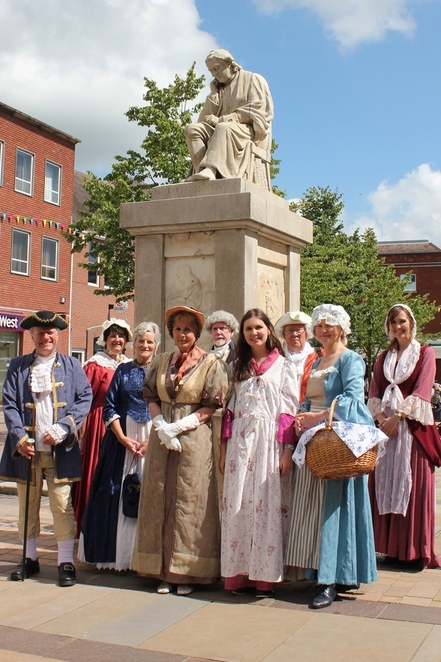 This period in British history relates to the years 1714 to 1830, and the era is now to be celebrated in style in the Georgian city of Lichfield with its very own festival, taking place from Friday 17 to Sunday 18 September. 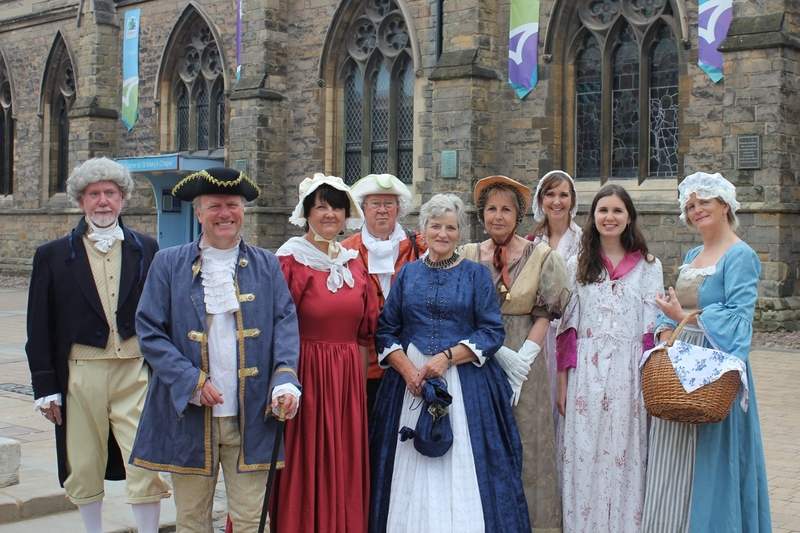 The Lichfield Georgian Festival is being held for the very first time and will feature an impressive range of themed talks, walks, activities and entertainment for residents and visitors of all ages. The free entry festival will include a Georgian encampment in Beacon Park, Lichfield, an array of costumed characters in traditional period dress, a Georgian fashion show, and a Son-et-Lumière light show, as well as gin and tea trails and lots of live entertainment. 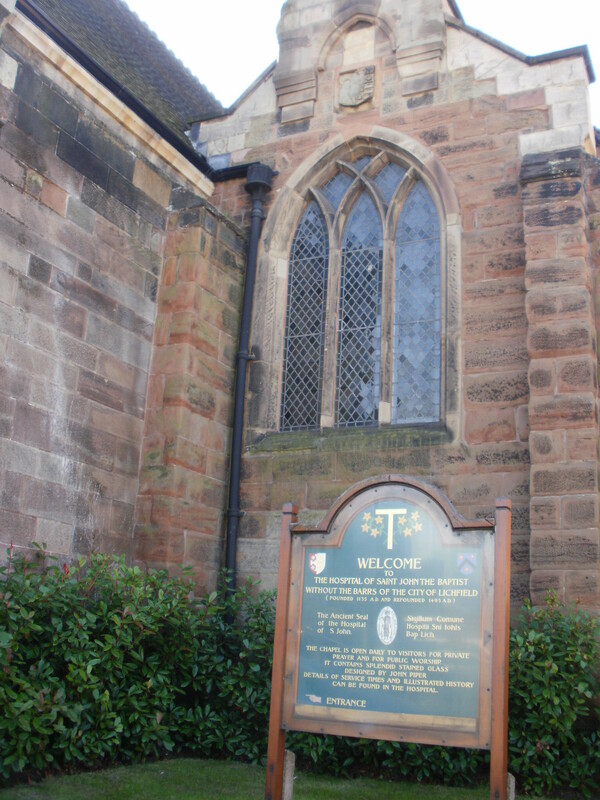 Heritage venues will throw open their doors and offer guided tours and activities over the weekend, including the Samuel Johnson Birthplace Museum, Erasmus Darwin House, St Mary's in the Market Square, Lichfield Cathedral, the Guildhall prison cells, Lichfield Record Office in Lichfield Library, Wade Street Church and Dr Milley's Hospital. At Beacon Park, there will be a traditional Georgian Encampment running at various times where visitors can learn about Georgian living, food and fun. Georgian townsfolk and soldiers will also parade around the city centre in character. There will be a food market along Minster Pool Walk on Saturday and Sunday from 10am to 5pm selling a range of artisan food. Running alongside the general market, Market Square will play host to free activities and entertainment on Saturday, including free face painting and craft activities. 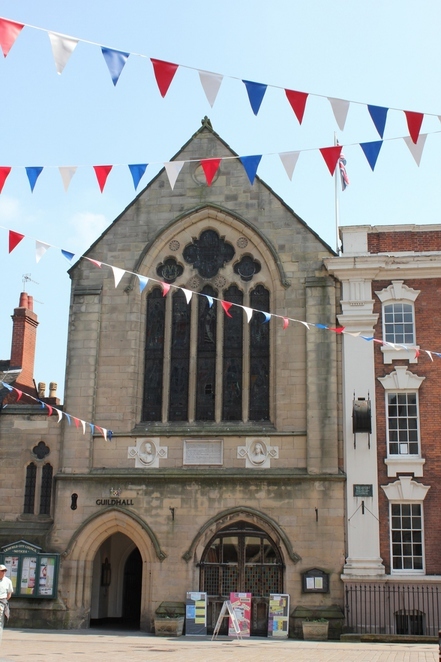 There will be lots of entertainment on offer on the Market Square, including the Dr Johnson birthday celebrations with the Lichfield Singers, a performance by Intimate Theatre, a Mini Town Crier Competition, sea shanties by the Lighthouse Company, and music from both Wildfire Folk and the City of Lichfield Concert Band. As 2016 marks the 250th anniversary of the Lunar Society, the Georgian Festival will be celebrating in style with The Lunar Men performance by storyteller Maria Whatton at The George Hotel on Friday 16 September at 7.30pm. Tickets cost £10 or £24 and can be booked by calling 01543 414822. 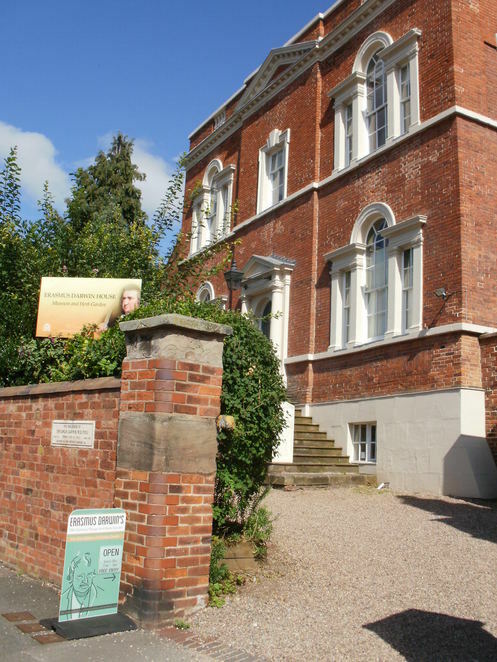 There will also be a Darwin and Lunarticks tour on Saturday 17 September from 2pm to 3.30pm run by a Visit Lichfield Green Badge tour guide. 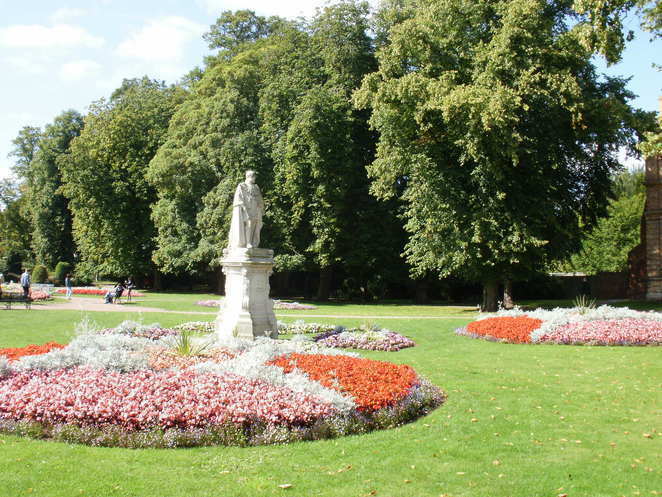 The tour needs to be booked in advance, which can be done by calling Tourist Information on 01543 256611. Saturday will end with the Moonlight Son-et-Lumière light projection at Museum Gardens in Beacon Park. Created by Luxmuralis for Erasmus Darwin House, the light shows will run for 20 minutes at 8pm, 8.30pm and 9pm. But the Georgian fun continues throughout Sunday 18 September with activities taking place at Lichfield's various heritage venues, including a Georgian fashion show at the Guildhall at 2.30pm, which costs £3 on the door, with the proceeds going to St Giles Hospice. Councillor Helen Fisher, Lichfield District Council's Cabinet Member for Tourism & Communications, said: "This is a fitting festival for our Georgian city and will involve heritage attractions across the whole of Lichfield who have pulled out all the stops to present a fantastic programme of Georgian themed events. The festival gives us a great opportunity to highlight Lichfield's important involvement in the Lunar Society through Erasmus Darwin." The weekend event will also see Georgian dance workshops, an oriental tea ceremony, a Georgian gin parlour, Georgian cookery and much more. A full programme is available from Tourist Information at St Mary's in the Market Square and from heritage venues across the city. To find out more details go online or contact Tourist Information on 01543 256611 or email info@visitlichfield.com. Lichfield Georgian Heritage Weekend is sponsored by Lichfield Business Improvement District and Lichfield District Tourism Association.